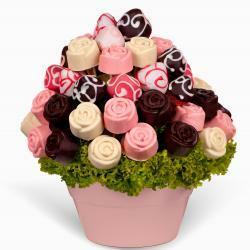 Bouquet of candy is sweet gift for loved ones and also original gift for children. 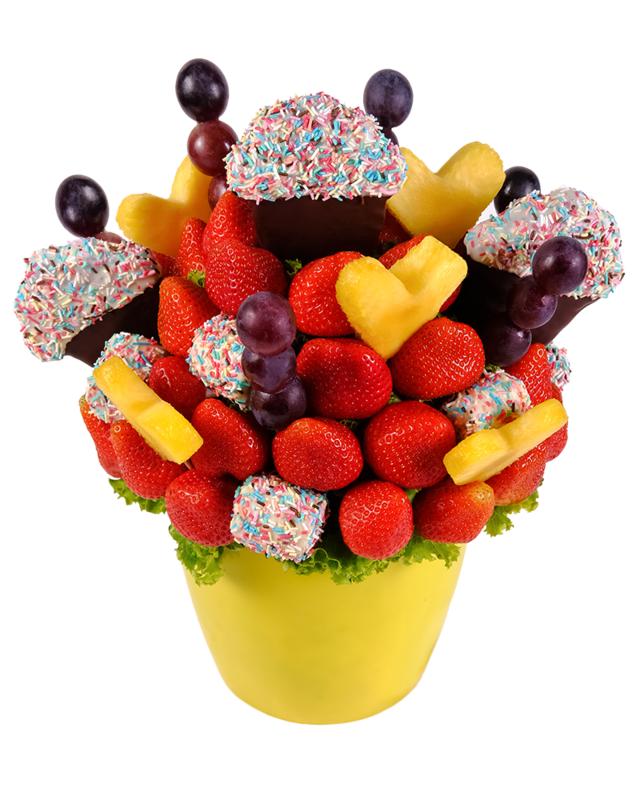 Bouquet of candy which made from fresh fruit and chocolate is nicer than all the candy and sweets.This healthy and sweet gift can be ordered online. 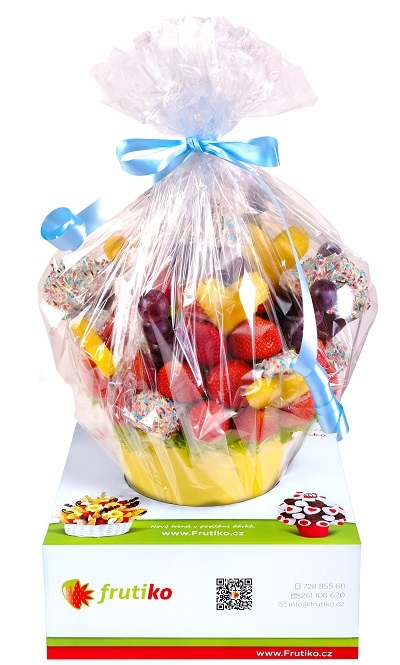 Fruit bouquet: "Bouquet of candy" contains strawberries, chocolate dipped strawberries,pineapple hearts and pineapple candies are dipped in gourmet white and black chocolate with rainbow sprinkles which all in the shape of delicious and healthy candy bouquet. 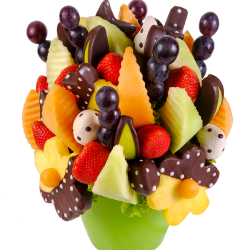 Bouquets of candy will delight all children. 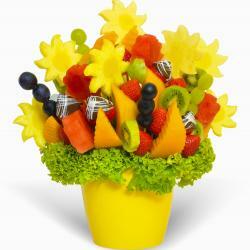 Also this healthy bouquet is suitable as a congratulations for the birth of a child. 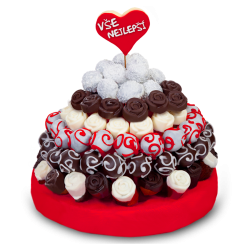 If you didn't try yet our delicious cake flowers you can order children cake which is made from fresh delicious muffins which dipped in quality white chocolate and decorated with colorful candy sugar. 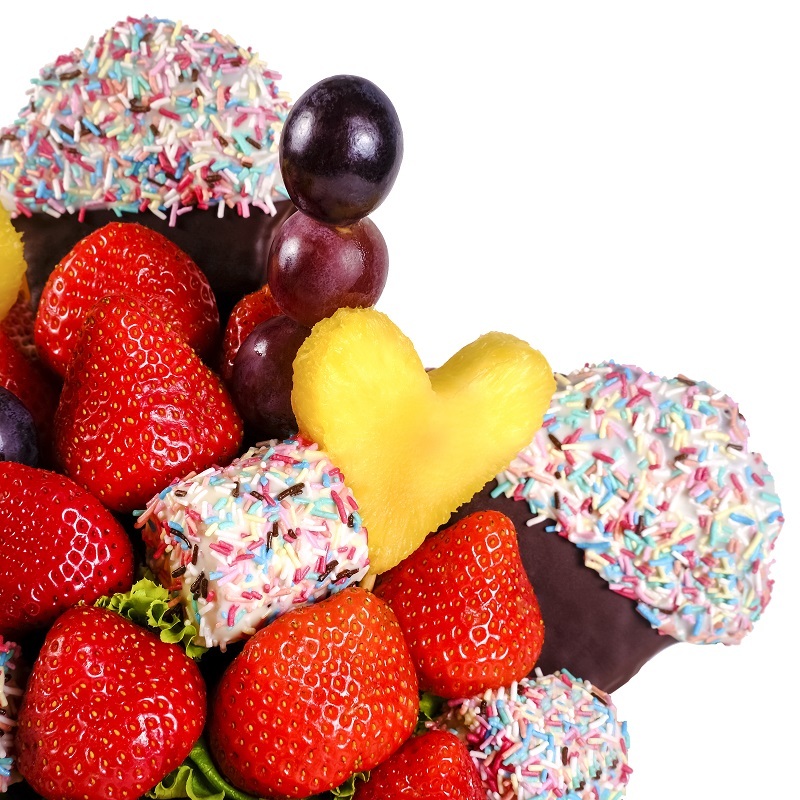 Jako dárek ke dni dětí pro dceru bezvadné.